Description: Light blue enamelling. The Stadium tower and the Olympic rings, below the text XV OLYMPIA HELSINKI HELSINGFORS. 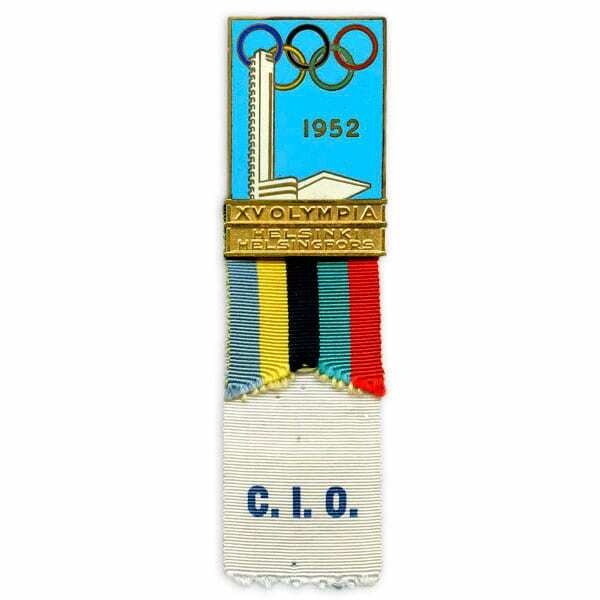 Two ribbons: the upper, shorter one is striped in the colours of the Olympic ring, the lower one is white and has the text: C.I.O. Other information: The badge was used by members of the International Olympic Committee (so called “Gold badge”) .